If Aipek’s Pico projectors are too old-fashioned or the Lancer iJector is too expensive for you, the joint effort of the UK manufacturer, Beambox, and the iPhone accessories maker, MiLi, might strike your fancy. The MiLi Evolution Mini Power Projector (MiLi Pro) is perhaps something you can look forward to. The new charming and stylish mini projector is designed particularly for iPhone or iPod touch users. No cables are required for the connection; users can just plug their iPhone or iPod touch to the dock connector of the projector and do the projection conveniently. Of course this pocket size projector also supports other mobiles via the AV input/output. The projector is able to provide up to 640 x 480 resolution with 10 lumens of brightness. 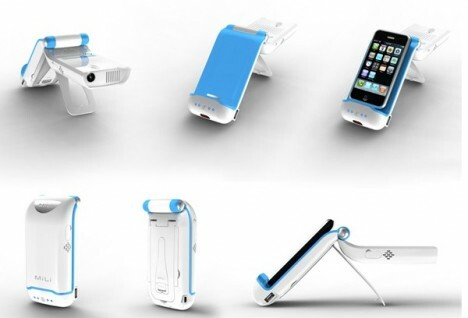 Besides functioning as a projector, the MiLi Pro also can be used as an external power bank to charge iPhone, iPod, mobile phone, etc. Other come-along features include a 2W built-in speaker for high quality audio output, a standard mini-USB cable to charge and sync your iPhone / iPod and MiLi Pro and a high quality lithium-polymer rechargeable battery pack to power the mini device. 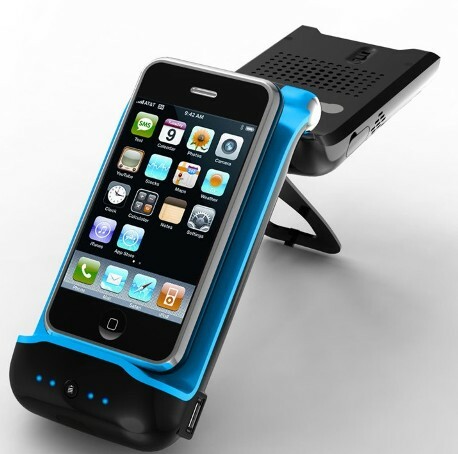 The MiLi Pro can be considered a breakthrough in iPhone and iPod accessory technology. It conveniently allows users to do projection on their iPhone and iPod content whenever they are. The indicative price for this unique device is about $255 but it will only be released in September 2009.